Sail-in Cinema is a summertime staple in Toronto. 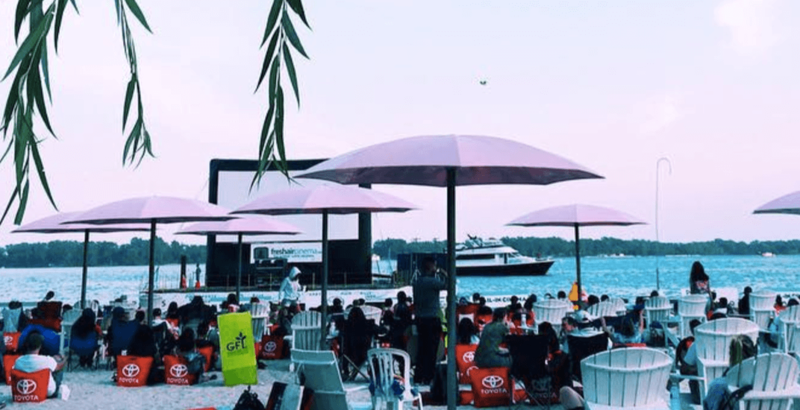 This year, thousands of people once again came out to Sugar Beach to take in screenings of Edward Scissorhands, Indiana Jones and the Raiders of the Lost Ark, and Beauty and the Beast. Here are 13 perfect summer moments from Sail-in Cinema.